This topic contains 0 replies, has 1 voice, and was last updated by Krintoxi 2 years, 2 months ago. 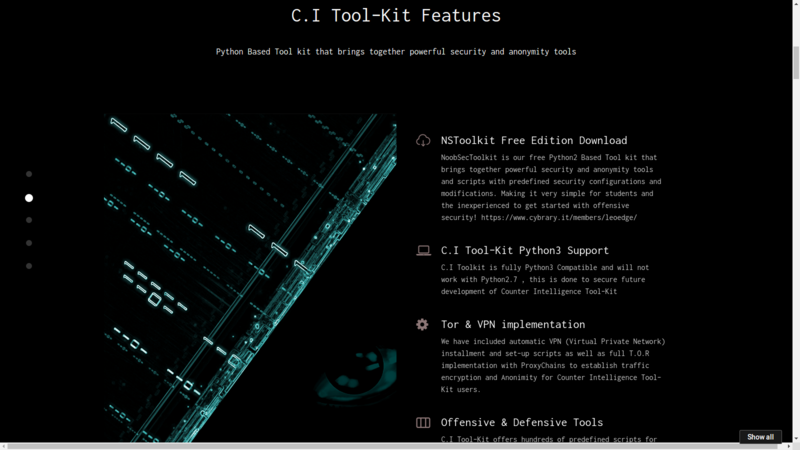 This is the official Forum thread for the showcase and development of C.I Tool-Kit the professional Python3 edition to NoobSec Tool-Kit. This project has the goal of Automating complex security tasks with an extremely easy to use interface that can can be launched from any Debian based Linux distribution. Development has been on going for over 7 months now, and it’s getting close to it’s first release! 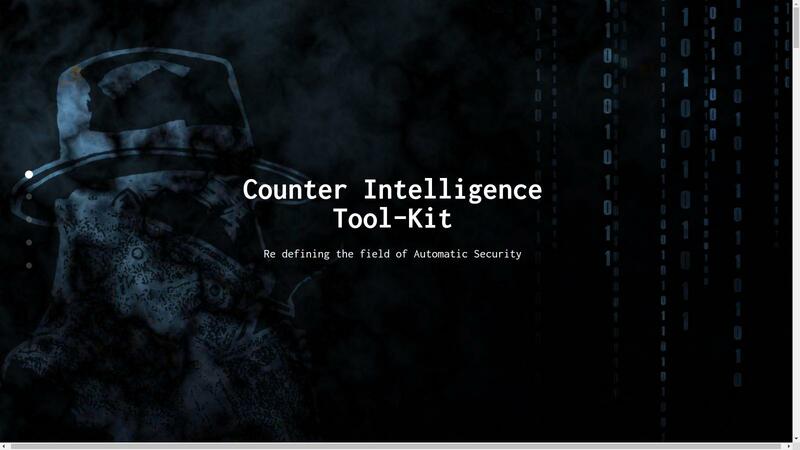 Unlike NSTool-Kit , C.I Tool-Kit will not be free of charge and around 80% of the code is compiled and hidden but will be sold on a per license basis, with a limited distribution of 100 copies of the Tool-Kit for the first month of it’s release. 8. (hexconv) Hex encoder and decoder! Keeping in mind that C.I Tool-Kit is built with ease of use in mind, anyone from a student to a professional in the area of security can boot and start using the Toolkit within seconds! InterCuba.Net: Web Steg Tool, Web Proxy, VPN Client development, crypto tools.